With an MA in Economics from Delhi School of Economics and PHD from ISI, Dr. Mukhopadhyay is currently the professor and chairperson of the PGPBA program at Great Lakes Institute of Management. He is also the visiting professor of the University of Ulm, Germany, and distinguished Professorial Associate, Decision Sciences and Modelling Program, Victoria University, Australia. His areas of interest and expertise include applied economic theory, game theory, analytics, statistics, econometrics, derivatives and financial risk management, survey design, execution, and others. Ranked 4th Amongst the "20 Most Prominent Analytics & Data Science Academicians In India: 2018". 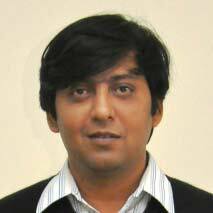 Prominent Credentials: He has various research papers published in national as well as international journals. He is currently working on a book titled Measuring and Managing Credit Risk. He has been the Managing Editor at Journal of Emerging Market Finance and Journal of Infrastructure and Development, member of Index Committee, member of Research Advisory Committee, Research Advisory Committee, NICR, Expert member in Faculty Selection committees at various Business schools, among others. Research Interest: Information economics and contract theory, financial risk management, credit risk and agency theory, microfinance institutions, financial Inclusion, analytics in public policy. Teaching Experience: He has more than 20 years of teaching experience in economics, finance.